Wow, we sure had an amazing turn out last week! Thanks to all who were able to join us for last weeks monochromatic challenge. Your cards were wonderful, as usual! Before we get to this weeks challenge, I have a winner from last weeks entries. Congratulations to #9 - Betty, AKA ZacksNana! Betty, please send me an email (onecraftychica@gmail.com) with your address so that I can get your stamp out to you. 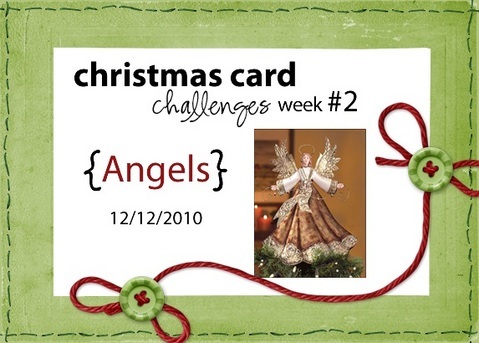 This week's challenge is to incorporate an angel or angels in your card. 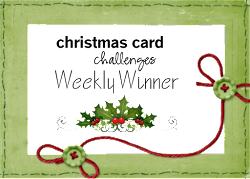 Please remember that our challenges are optional, any winter or Christmas card is perfect, we just want to help you get a jump start on your holiday cards. 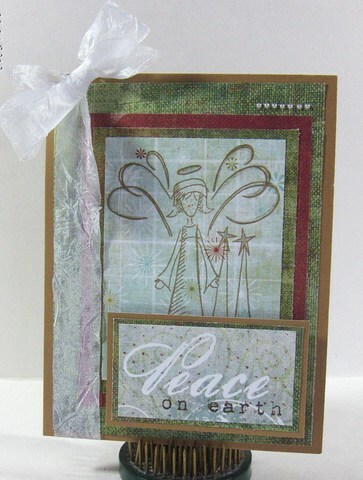 Also, it is not required that you use a SCRS stamp to participate, but we sure love it when you do. To inspire you, here are the cards our design team has created for you this week. 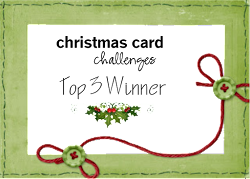 Don't forget to post a comment so we know you added a card! If you are uploading to an online gallery such as Splitcoast, please use the tag SCCC02, so that we can all enjoy your cards. 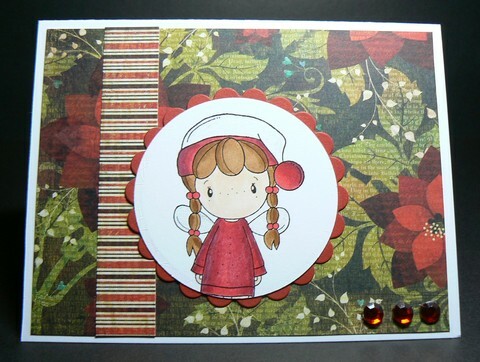 Fantastic cards from the DT and a beautiful card from your guest designer! I miss you girls! Happy Holidays! It looks like it cuts off some of my card in the thumbnail...ah well. Great cards this week! Happy Holidays! Thank You sooo much! 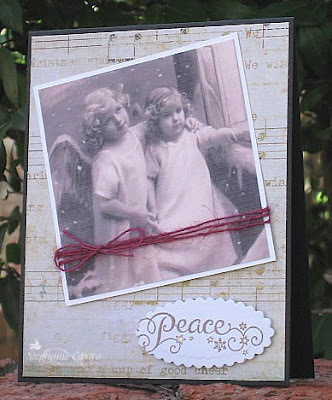 I loved making the monochromatic card. 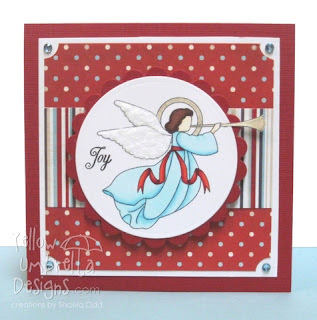 The stocking stamp is one of my all time favorite Christmas stamps. Thanks Again, I sent e-mail with my address.